Need a cheap scanner without the sky high price? 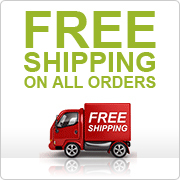 Shop online for scanners with SCC Trade. We have a range of cheap scanners on offer including refurbished scanners that come with a 90 day guarantee for peace of mind. Whether you are a student or a photography enthusiast, we have a digital scanning device to suit you. Whatever you require, we are confident that we can accommodate your needs. Browse our selection of cheap scanners online & purchase at the touch of a button. Get the latest technology including superior scanning quality delivered to your door. Do you want to create high quality scans with ease? Whether you want to scan photos or documents, you can count on us for quality guaranteed. With SCC Trade, what you see is what you get and you won’t find any hidden costs on our site. Shop with us and take advantage of our great deals on scanners and accessories. You can find out all of the details regarding the condition of the scanner right here on our site. If you would like any advice on our Grade A or Grade B scanners, a member of our team is on hand to take your call. Contact us today for more information on 0845 351 1202.